The new Jordan Jumpman H Series II hit strides when it was first released earlier this year and it is expected to gain a lot of attention once again this April with the release of a pretty nice colorway. The high-top silhouette will be coming out in White/Metallic Silver colorway, which is obviously a simple yet clean and sleek edition of the Jordan Jumpman H Series II. This is expected to be release early April for just $110. 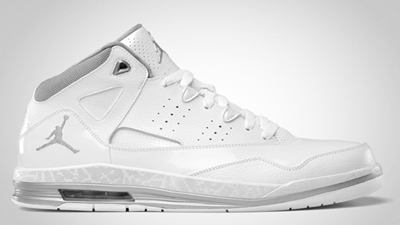 Another Jumpman C-Series Hitting Stores This June!